Portrait lighting can either make or break your photos. The wrong light can make your subject look flat and uninteresting. To make your photos interesting, here are the most essential studio lighting techniques. This article will also offer you some portrait lighting tips to help you along as you go. The way you light a portrait will set the mood of your image. Often, the whole ‘portrait lighting setup’ thing can be intimidating for beginners. Most will think that working with ambient light will be easier. They allow you to be much more flexible and creative in lighting your model. They give you more control over exposure than ambient light. For a correct exposure, you have to match your camera settings to the ambient light. Even when mixing on-camera flash and ambient light. The risk is that you may end up using too slow of a shutter speed, particularly if you do not have fast f/1.4-2.8 lenses. With artificial lights, instead, you can set your aperture, ISO and shutter speed as you like. My go-to settings are f/8, ISO 200, 1/125. And then you can adjust the light power to suit your needs. It’s easier and I find that I can shoot with any lens available on the market. Cheap kit lenses included. Balancing flash and ambient light in the outdoors. Settings: f/4.5, 1/80 sec, ISO 200. If you are not familiar with studio equipment, have a look at this article about creating a home studio. When it comes to portrait lighting, there’s soft and hard light. A hard light casts strong, dark and defined shadows. A soft light produces lighter shadows. There’s a more gradual transition between dark and bright areas of the image. What makes portrait photography lighting hard or soft is not its source. It’s the ratio between the apparent size of its source compared to that of the subject. A bare flashgun will produce a harder light when you photograph people. A direct flash produced a very hard light on my son, creating deep and defined shadows under his chin and in the background. Light modifiers will soften the flashlight. You can use umbrellas, softboxes, or a flash bounced off a white wall. By simply bouncing the on-camera flash on the wall, I was able to get a much softer and more pleasant light. The last thing to know about light is that its intensity decays following the inverse square law. Say the distance between the light source and the subject doubles. Every time this happens, the light intensity on the subject decreases by a factor of four. This property results in ‘light fall-off’. This is an effect often used in portraiture to better control the light pattern on your model. Working with a single light source is a great way to learn classic lighting patterns. It also allows you to concentrate more on the artistic side of portraiture. You’ll find a downloadable cheatsheet below. It shows the most popular classic portrait lighting setups. This great glossary for portrait photography terms has all the explanations you need. This scheme shows the relative position of light, camera and model to create some of the most common lighting setups used in studio portrait photography. Every portrait lighting setup creates a distinct light pattern on your model. This depends on the specific position of the light relative to the model’s nose. The position of the camera will affect the face lighting-to-shadow ratio. Moving the camera on my side to take this self-portrait did not change the butterfly light pattern on my face. Moving the camera to the dark side of your model will result in a short lit image. This is how professional portrait photographers make studio portraits. More subtle and complicated light patterns are possible with several lights. With more than one light, you can also separate your model from the background. Clamshell lighting is a classic go-to setup. A key light, a fill light and a background light are often used. Key light -The main light for the scene. It determines the light pattern. And it is the first number listed in lighting ratios (e.g. in a lighting ratio of 4:1, the key light is the no. 4). Fill lights – Used to fill (lighten) the shadows, fill lights are generally weaker than the key light. This is the second number listed in lighting ratios (e.g. in a lighting ratio of 4:1, the fill light is the no. 1). Hair/separation/rim lights – These lights keep your model from blending in with the background. They are usually placed to the side, behind the model. And they highlight parts of his/her figure and contours. Background light – A background light is particularly useful for high key portraits. You can also use it as a separation light in light setups with several lights. Or, together with some coloured gels, it can alter the colour of the background. Several lights also make it easy to alter the contrast in the image. They change the ratio of light between the key light and the fill lights. High contrast images, with a key-to-fill lighting ratio of 8:1 or more, best suit male models. More balanced ratios such as 4:1 or 3:1 or less are more appropriate for female models. Keep in mind that these are guidelines. In photography, bending or breaking the rules is acceptable. Let’s see how to put in practice the basic concepts discussed above. We’ll consider a few typical light patterns. This high contrast light pattern is often used to create portraits in a low key style. Extreme split lighting produces highly contrasted images. Often used with male models and for low key, black and white portraits. Split lighting is the quintessential example of side lighting. It’s also the simplest of all lighting setups. Line up a single, bare, flash with your model’s shoulder, and take the photo from in front of your model. Diagram illustrating the split lighting setup. The background light is optional. An interesting variation occurs when you mirror the flash setup, as in the scheme below. This creates the so-called ‘hero lighting’ pattern. This setup takes its name from the powerful mood it conveys. It produces a strong shadow in the middle of your model’s face. Control the shadow’s thickness by positioning the model in front of the lights. This creates a larger shadow. Position the model behind the lights for a thinner shadow. A strong, confident pose is best highlighted by the hero lighting. Here the model was in front the lights. You can tell this from the broad shadow on his face and torso. Every article on flash portraiture proposes this simple one-light setup. It suits both male and female models. Particularly if you use a light modifier, such as an umbrella or a softbox, to create soft light. A classic portrait with the loop lighting setup while using a medium sized umbrella to soften the light. To keep your model from blending in with the background you can add a separation light. This creates the most classic of the two-light setups. A classic one-light setup to create a soft loop (or Rembrandt) lighting on your model. The background light is optional. If you are after a more punchy look and feel, try replacing your umbrella with a grid. This produces a tighter splash of light. Butterfly lighting was very popular in the ’30s among Hollywood photographers. It casts a small, butterfly-shaped shadow cast under the model’s nose. When shooting a female model, use an umbrella or a softbox to soften the light. This portrait lighting scheme can leave deep shadows. These appear under the model’s chin, cheekbones and nose. This light plan shows the butterfly lighting setup, with the optional background light. To disperse those shadows add a fill light right under the key light, lighting the model from below. This is a clamshell setup. It is one of those go-to setups that will never disappoint you. Clamshell is a classic portrait lighting setup that will never let you down. You can see the two lights leaving two distinct catchlights in the model’s eyes. Usually, the fill light is weaker than the key light to leave some gentle shadows. It can be either a reflector or a second flashgun (set to a lower power than the key light). A clamshell lighting setup using a reflector as fill light leaves some light shadows on the model. This portrait lighting pattern suits both low and high key styles. You can use rim light to create images with a dark, mysterious, and sometimes abstract feeling. Rim light alone can produce great moody and mysterious low key images. You can also use it as a separation light. When combined with other lights, a rim light does an excellent job in separating your model from the background. Setting this up is a no-brainer. Hide a flashgun behind the model to light him/her from behind. If you want to highlight a complete figure you need two lights. One at either side of your model, pointing back at them. You can create rim lighting with a single light or with two lights. It depends on how much of the model’s contour you want to highlight. To have a nice, thin, rim light highlighting only the contour of your model’s figure, mind your flash power. Too much and the light will spill over the contour and light their anterior side (the front). When doing flash photography in the studio, we tend to suppress ambient light. This is so it does not affect our portrait lighting setup. Sometimes though, you may want to combine flash and ambient light. First meter for the ambient light with aperture, ISO and shutter speed. Then match that reading with your flash. A flash meter, such as the Sekonic L-308s is a welcome accessory when working with flashlights. Even more so when you are mixing them with ambient light. Never trust a dad if biscuits are around. For this environmental portrait I used the butterfly lighting setup. It is possible to do great indoor portraiture by using only natural light coming in from a window. A classic way to create split lighting for portraits taken with natural light from a window and a circular reflector. Of all lighting setups, split lighting is the easiest one to recreate with ambient light. Having your model sit next to a window is the easiest way to use split lighting with natural light. Settings: 21mm, f/8, 1/30 sec, ISO 100. You can place a reflector on the opposite side of the model (facing the windows). This works as a fill light to brighten up the shadows and create more balanced images. You can achieve subtle split lighting by using a reflector in place of a fill light. When working with ambient light you have to pay attention to the environment you are shooting in. The surroundings will be visible in the image. Keep that background uncluttered and non-distracting. And use the model’s surroundings to stage the portrait and set its mood. This empty background with a hint of a bed in the room and a big window produces a spare, minimal feel. Settings: 14mm, f/5, 1/30 sec, ISO 100. The real challenge is to keep the shutter speed high. This way your model will look sharp, while avoid underexposing your scene too much. These two styles dictate the mood of the final image. Some light patterns and subjects work better with low key style. Others deliver better results in high key, depending on what you’re going for. In a low key portrait, about 80% of the tones across the image are dark. With the right light, this style conveys a dark, powerful, dramatic or mysterious mood. Here is a nice tutorial from Josh about how to do low key portraiture. 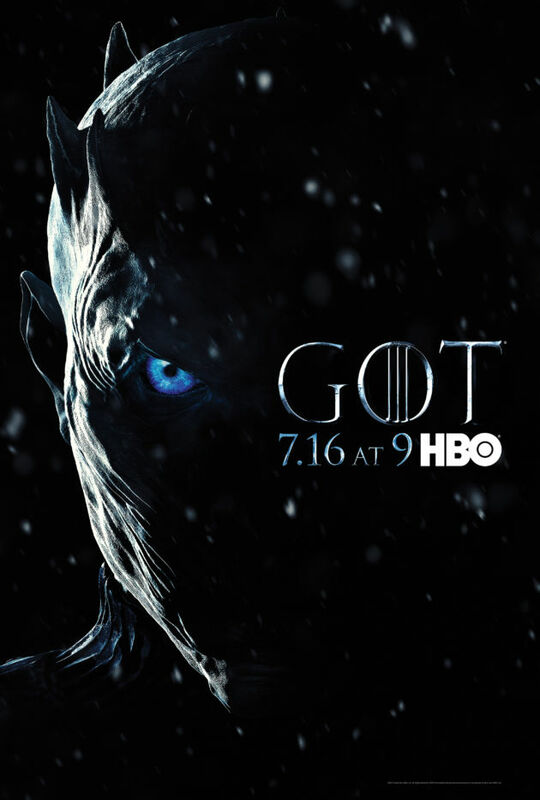 This extreme low-key self portrait is my tribute to the Night King as portrayed in the promotional poster of Game of Thrones, season 7. High key images have most of the tones on the bright side of the scale. This creates a more lively and joyful mood. It is not by chance that most stock images portraying people are high key. The same is true for newborn and toddler portraits. High key portraits, with their light backgrounds, bring a brighter mood to images. For high key images you have to light up your background, or else it will come out grey. You’ll want your background to be white when taking headshots or newborn portraits. Use a large softbox (with a flash inside) or a window as a background. This post gives you all the info you need to deliver striking portraits. In several different styles. A last word of advice, though. Don’t get stuck on this or that portrait lighting setup. These patterns are a starting point for your exploration of lighting. Don’t be afraid to improvise and experiment with your light sources and never forget to have fun. We have a great tutorial on creating a DIY Lightbox or great tips on environmental portrait lighting you should check out too! Despite the use of hero lighting, I lost the battle with my 6-month-old daughter. And before you go, check out this cool video we’ve found on portrait lighting setups. We have a great article on how to achieve cinematic looking portraits you should check out too!